I work with photographic images on glass. 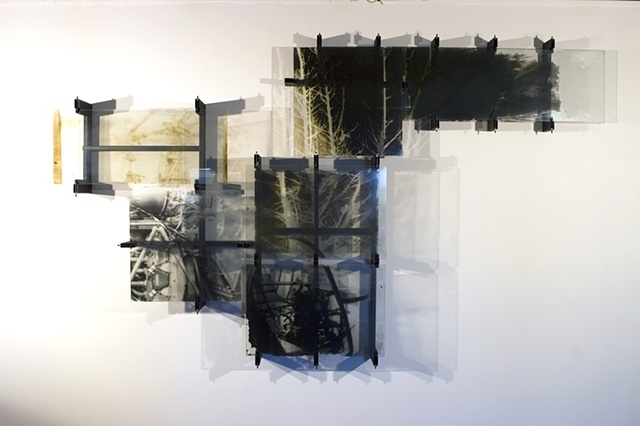 I expose the glass plates to enlarged negatives with a slide projector, or gather images without a camera-also known as photograms. My work is primarily concerned with landscape-the natural world, and the manufactured.